Out of bounds up the left side of this hole forces players to play the right side of the fairway. Shots too far right become blocked by mounds and large trees. The conservative play may be to use a 3 wood off this tee. Depending on hole location and to avoid the fairway bunker on the second shot, players should lay-up to their strongest wedge position 70-110 yards. 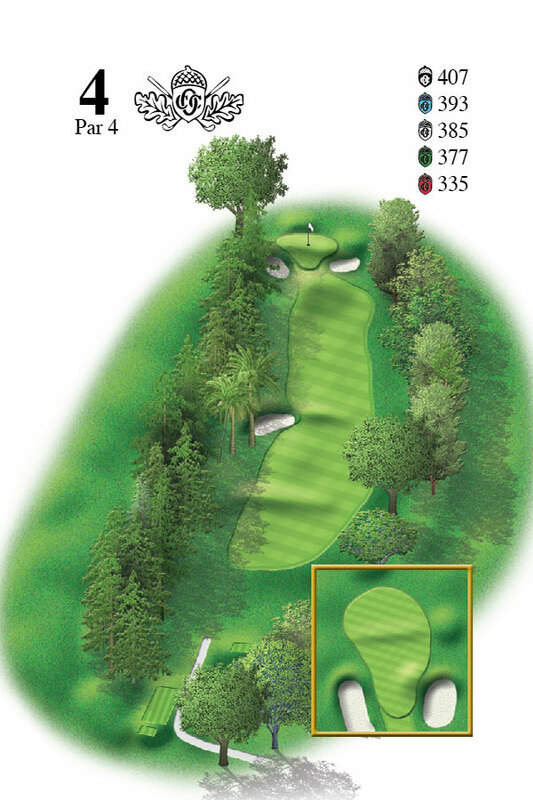 The player must be below the pin on the 3rd shot to have any realistic birdie chance. This hole has the most severe green on the course. Club selection will be paramount. Short hole requiring a fairway wood or long iron off of the tee. 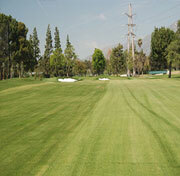 The right side of this fairway opens up the green for a short iron approach. 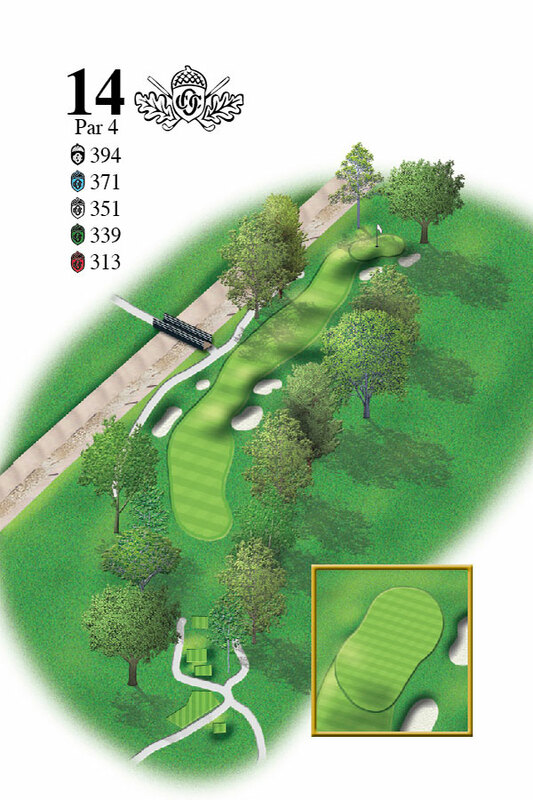 Tee shots left of center force the player to circumvent a 75 foot sycamore tree to a well bunker green. A front left pin requires an aggressive play for birdie while a safe play to the center of the green leaves a difficult two putt. 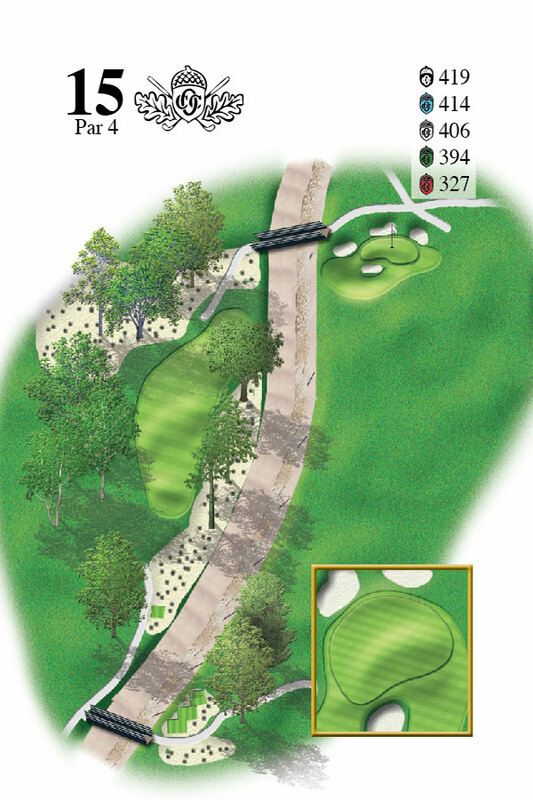 This downhill par 3 looks benign but errant shots leave difficult up and down situations. Players should protect from missing the green to the left because the green slopes away from the player and trees will block any type of lob shot. Because the tee is cut out of a large hill, the players are unable to feel the ever present circling winds and many will misjudge the distance. 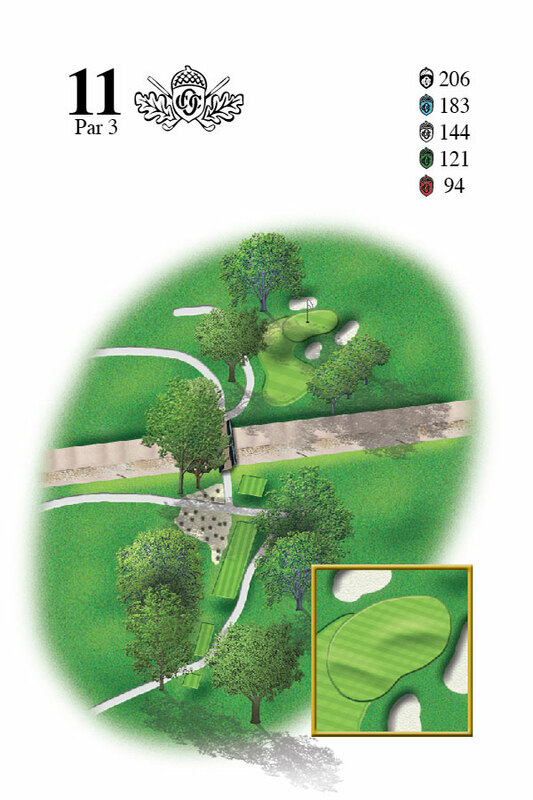 While leaving the second green, players should look for wind direction and speed. A back hole on this green is the most difficult. A short or mid iron short of the cup and take the two putt and run. 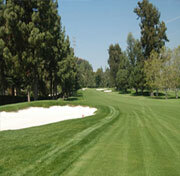 Cut loose on the drive on this hole but avoid the large bunker guarding the left side of the fairway. This is our widest driving area on the front side. A very narrow green is more receptive to a shorter iron approach. Play to the middle or back of this green to avoid the two green bunkers that protect a front hole position. Birdie opportunities will come only with accurate second shots. A modest par 3 by yardage but don't be deceived into thinking you can coast on this hole. 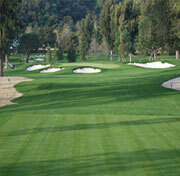 The mid to long iron shots for most players will carry the small front greenside bunker on the right. Most balls will hit and release to the right. To keep the ball right of any of the hole locations provides better putting opportunities. 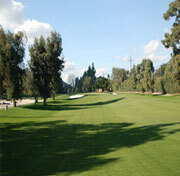 However, danger also lurks right as a barranca is just a few yards off the right side of the green. This is one hole that being a little bit past the hole is a safer play than short. One of Oakmont's easiest greens to putt except a front hole location is sneaky fast. 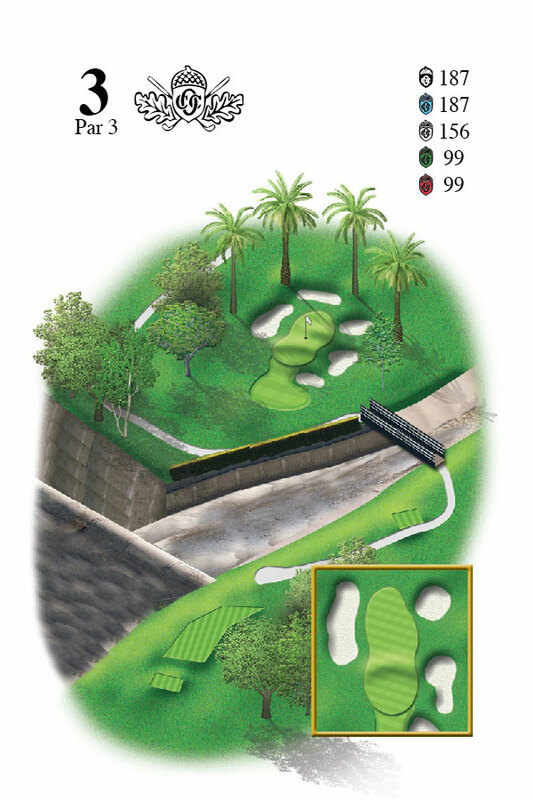 The hole is a straight-away and downhill par four. A driver or 3 wood to the right side of the fairway maximizes roll and gives a relative flat lie for the second shot. A short to mid iron awaits the player from a good drive. The green holds well except the back right corner that slopes slightly to the player's right. A putt from front to back is deceptively quick because most players don't account for the overall lay of the land and the downhill terrain. Putting from the right side of this green optimizes putting chances. 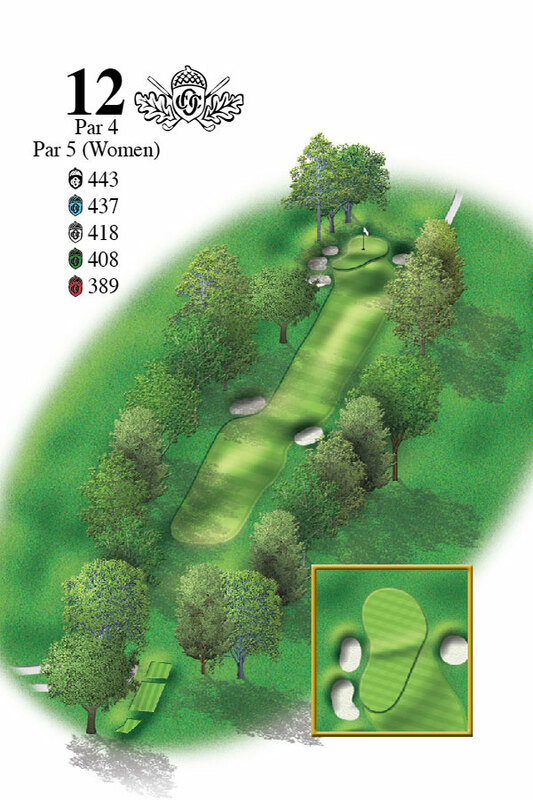 A short but strategic short par 4, this hole has a high risk and high reward scenario. Failure with an aggressive play of reaching this hole with a driver will mean a tough bunker shot, or worse, the barranca which guards the right of the green. This hole will yield birdies but also will land its share of over par scores. 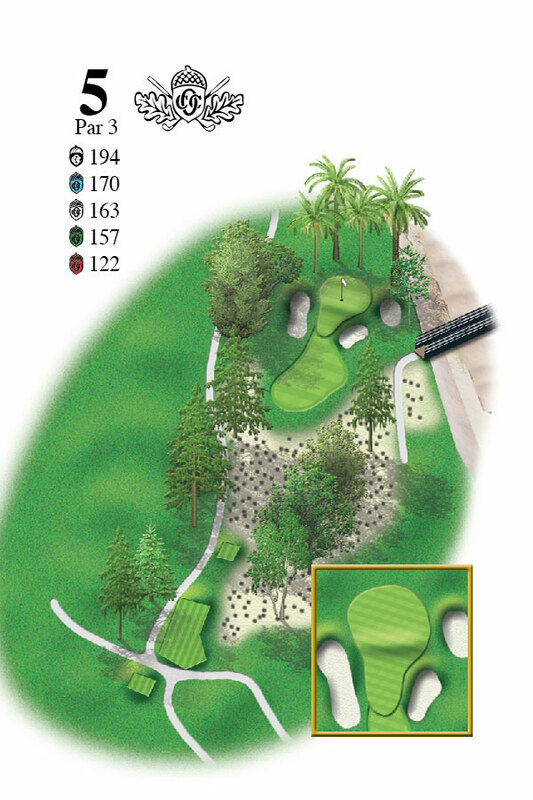 For players wishing a more conservative approach, a layup in the 200 yard zone short of the greenside bunkers will make a scoring opportunity with a very well placed short iron into a narrow and sloping green. Stay below the cup here. 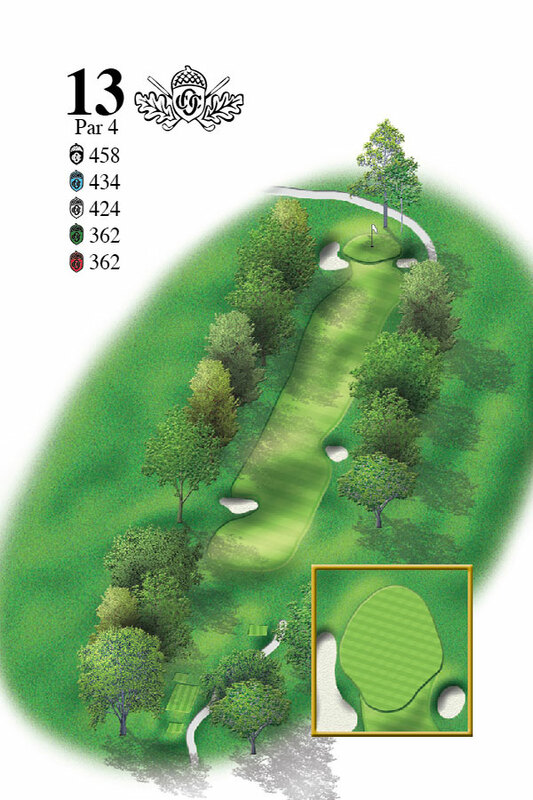 The first of a double par five front nine finish, this par five requires three shots to set up a quality birdie putt. Very long uphill par five has trouble waiting with trees left and right. A drive down the left center and short of the mounds creates the superb angle to set up the third shot from the right side of this fairway. 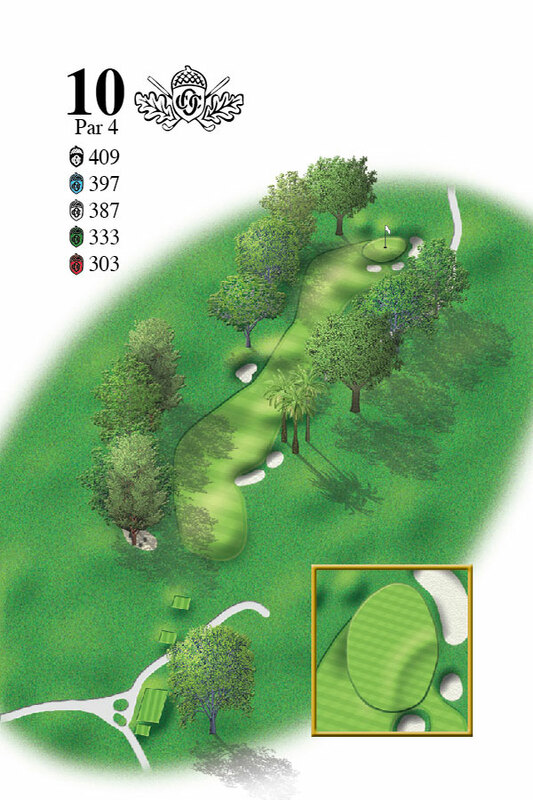 Players have a short to mid iron shot into a green that slopes slightly from front to back with a hollow in the front right. 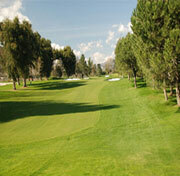 Players landing long on a front right hole will have a tricky downhill feeder and many will three putt. Staying hole high or less on this green will lead to excellent par opportunities. Relatively short hole with the second shot accuracy more important than the tee ball. A right hole location is the most difficult hole location with putts that can break more than eight feet. Being below the hole on the approach is made easier by an elevated green that slopes from front to back and fights the prevailing breeze. An easy hole by scoring statistics. 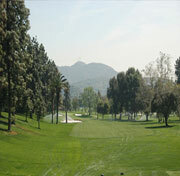 A modest downhill par four that rewards the player taking a rout to the left side of the fairway and green. A left center drive has better opening to a rather helpless green that slopes left to right. Bunkers guard the front right and right side of the green. A ball hit slightly left of the green can kick onto the green. A player going too far left will be penalized with a kick left of the green but creating numerous opportunities of play. 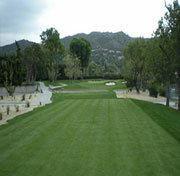 Players may select the putter for a ten yard shot off the green in the closely mown area. Balls landing in the center funnel to back right hole locations. Toughest pins are front left and front right. A short to mid-iron to a well bunkered putting surface. 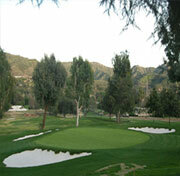 Another of the par three holes that wind variations play havoc with club selection. Winds prevail from the south or right of the green. The green is narrow and from the middle of the green all putts to the right are downhill. The left side of the green slopes front to back. The general rule in playing this hole is too keep your ball to the right and short of the hole. Trying to keep the ball right of the hole is difficult with the typical wind pattern. 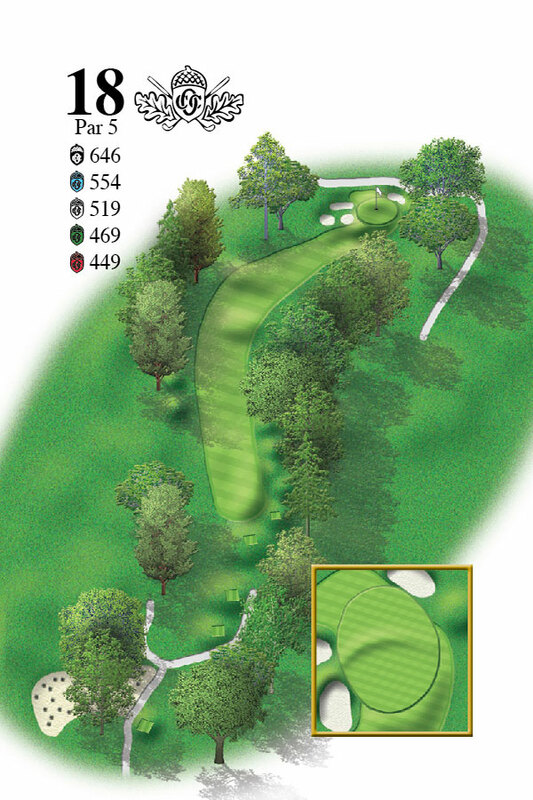 A front left pin will accept a run up shot but all center and right hole locations will require a player to fly and hold a shot on a narrow and steep green. 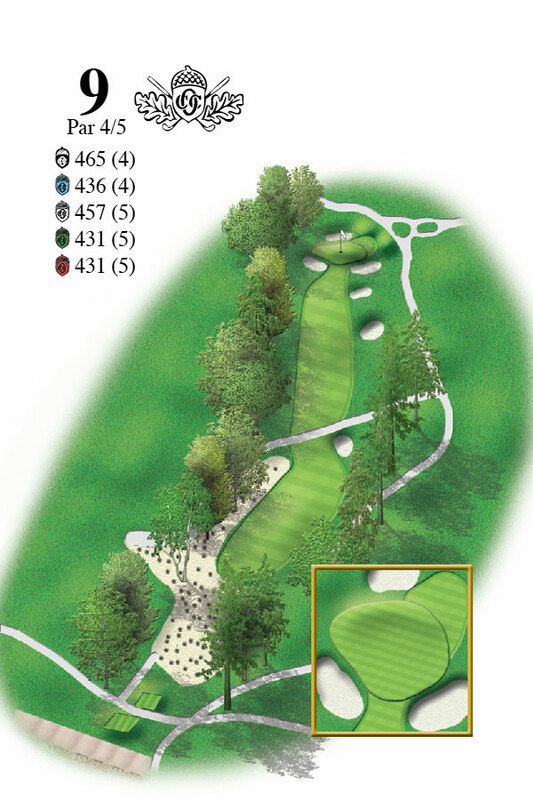 The first of two long par fours, the 12th is best played by taking the right center of the fairway with the driver. From this position, the player will have to hit a long iron to fairway wood to reach green from the crest in the fairway. A two tiered green means being on the correct tier is extremely important for a two putt par. Another word of caution - Don't go left of this green. Three deep bunkers shelter the green well below the green surface. 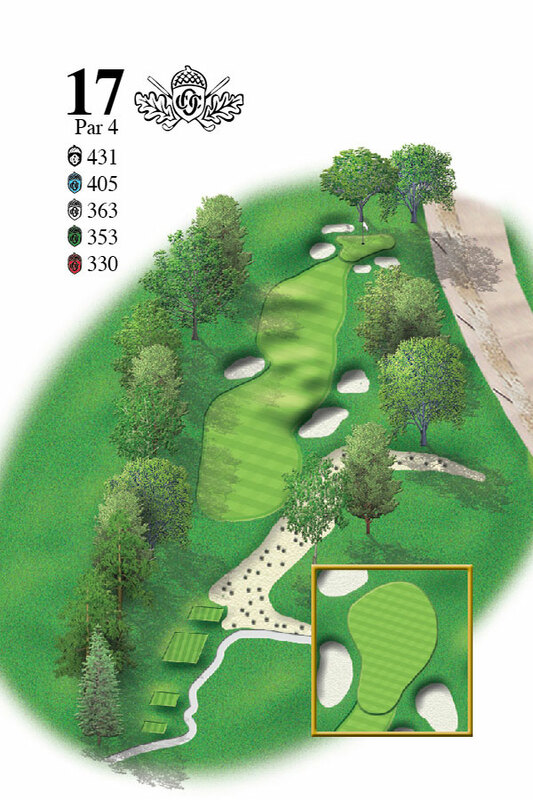 Missing the green in the front right leaves a player with many preferred shot choices. The putting surface on each tier is relatively flat. The 13th fairway is one of the few at Oakmont where most players will be forced to fly across bunker on the left side of the fairway which sets up the best angle to play the hole. Cut loose the drive but make sure the drive does not go right as a new bunker and a new forest of trees will keep most players honest. 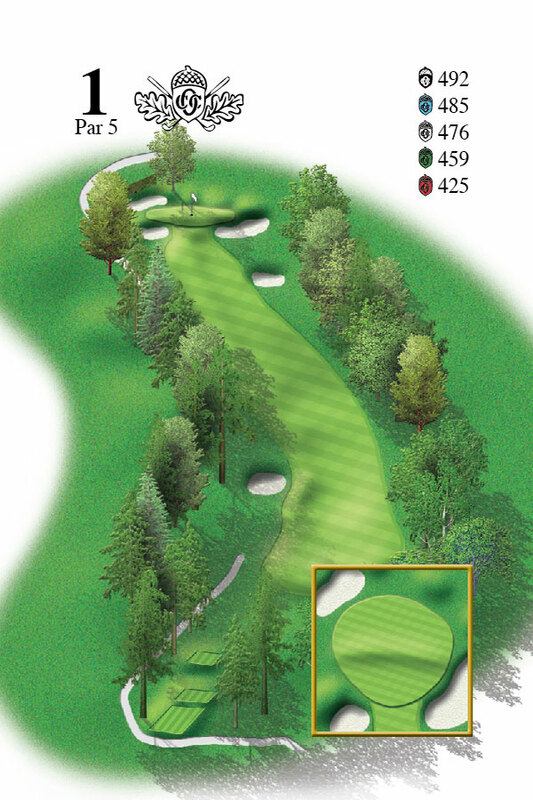 An uphill second shot to a plateau green area will require a mid to long iron. 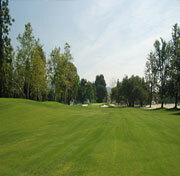 This green will hold most long shots and a center shot to the green leaves a putt of no more than 25 feet to all pins. Right back hole location is the most difficult. Do not go over this green or be faced with a difficult downhill chip. 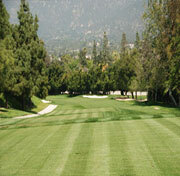 A fairway wood to the left side of the fairway opens only a portion of the green as it slopes away from the player. 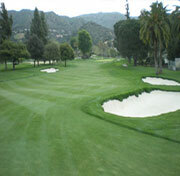 The green is guarded by two bunkers on the front right. Errant shots to the left of the green will contend with the barranca. The green is terribly difficult to read and many players will be surprised by the speed and break when not figuring the terrain around them. 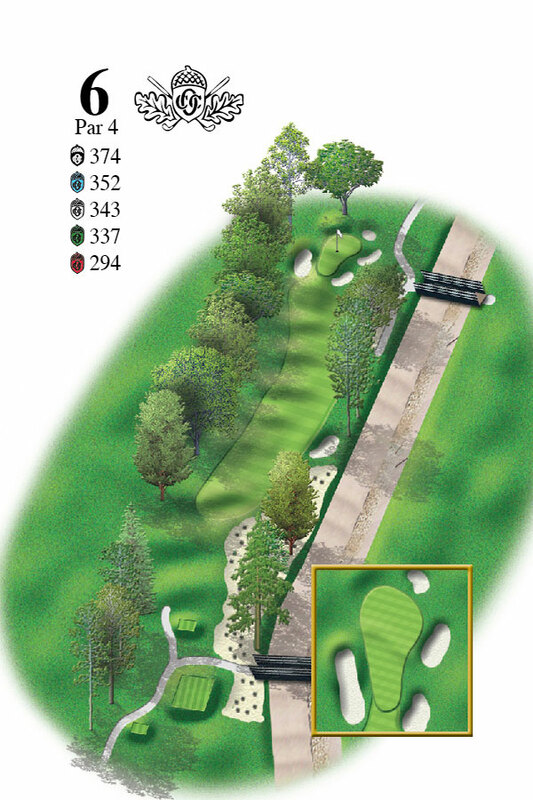 A back right hole location will force the player to the center of the green and take two putts for par. On most holes that dog leg right, the player usually likes to cut the dog leg, but this makes a blind approach to almost the whole green and avoids carrying the right bunker. 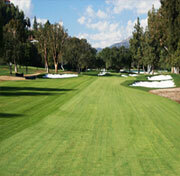 It will be the player's choice to go left, right or over a well placed center bunker when going for the green. Run-up shots will also be an option. 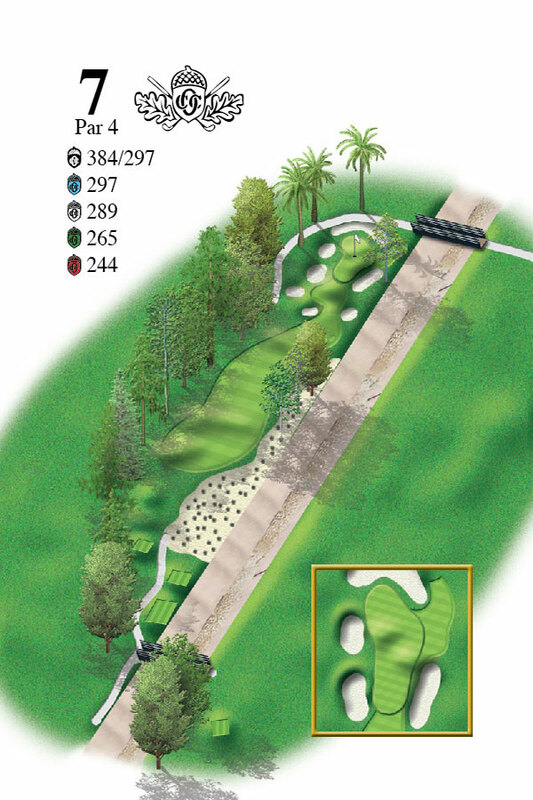 The green also slopes from right to left and shots from the left side will have a better chance to hold the green. From the left side of the fairway, a well struck mid to long iron can set up a birdie opportunity but par is a very good score here. 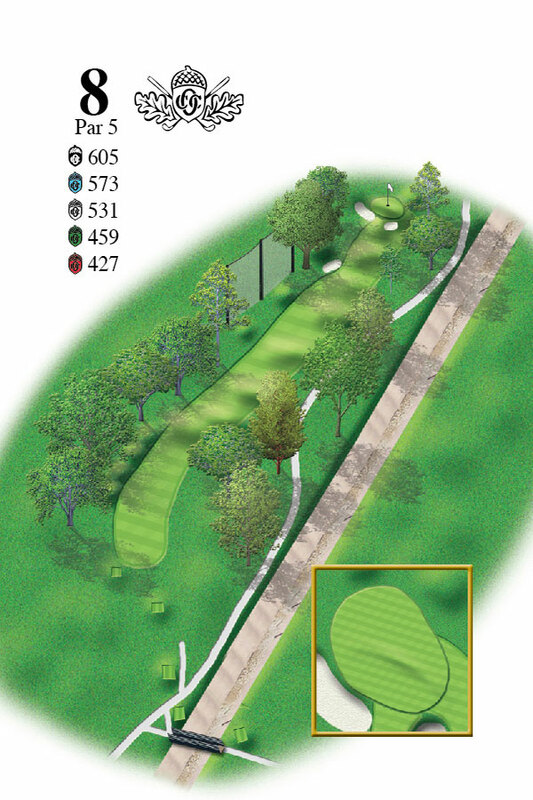 Drives down the right will fight the trees and in some cases force the players to lay-up short of the barranca which crosses the fairway 60 yards in front of the green. 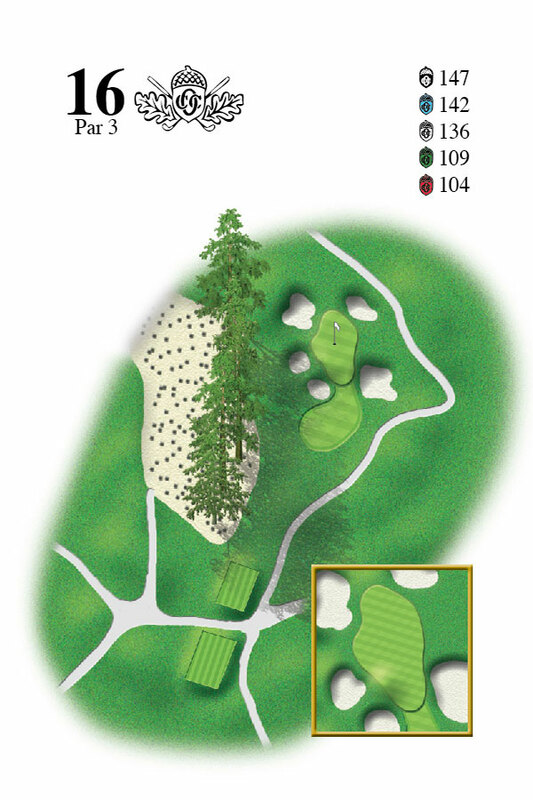 A terrific newly created par 3 at 140 yards seems very modest. Prevailing winds will quarter left to right into the player with a green that is severely undulating. The three front left bunkers are deep and will make for tough up and downs. Club selection will be critical to be on the appropriate section of the green for easier putting. Take your par and run. 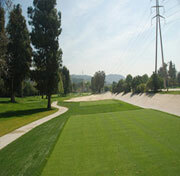 A driver fairway wood off this tee short of the left fairway bunker gives the best visual into this green. The bunkers to the right are no picnic and should be avoided. 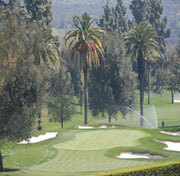 The small green is guarded by four bunkers and from front to back and left to right. Because the second shot is uphill, the players need to take an extra half or full club for the mid to short iron second shot. A decent birdie opportunity from the white tees. This hole is a beast from all tees with a maximum yardage from the Black's at 646 yards. A true three shot hole made longer by playing into the prevailing breeze. The good news for the player is that it is downhill until the dogleg 150 yards from the green. 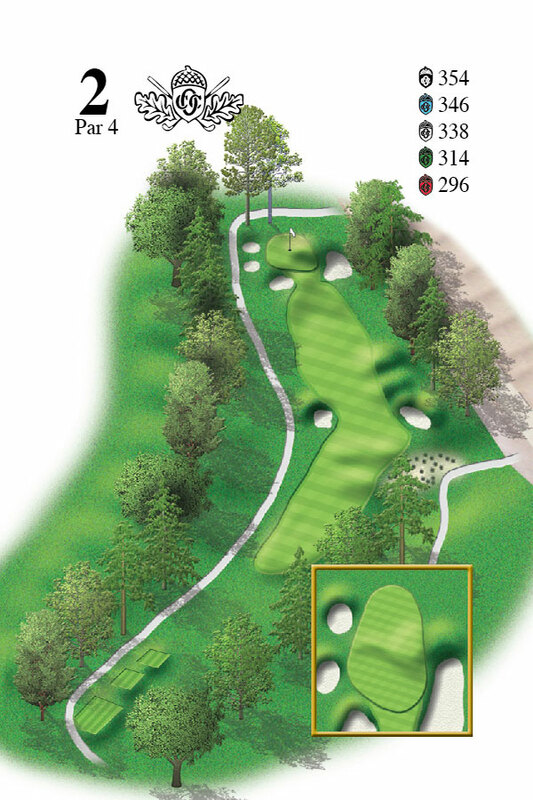 Two solid shots will get players to the corner of the dogleg for a mid to long iron approach. 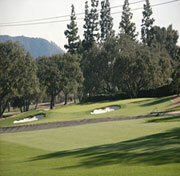 The green slopes heavily from front to back and is split by a ridge on the left third of the green. Balls left of the ridge will most likely run off the green into a swale left of the green. For those players not reaching the putting surface, the three left front greenside bunkers will provide nearly blind shots below the green. The front right is the only bailout position. A good high shot into theprevailing breeze will sit softly if enough club is selected but too much spin will result in a long putt. 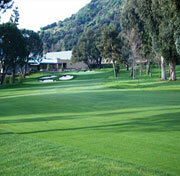 Head to the club house for nourishment and an adult attitude adjustment after playing this hole.